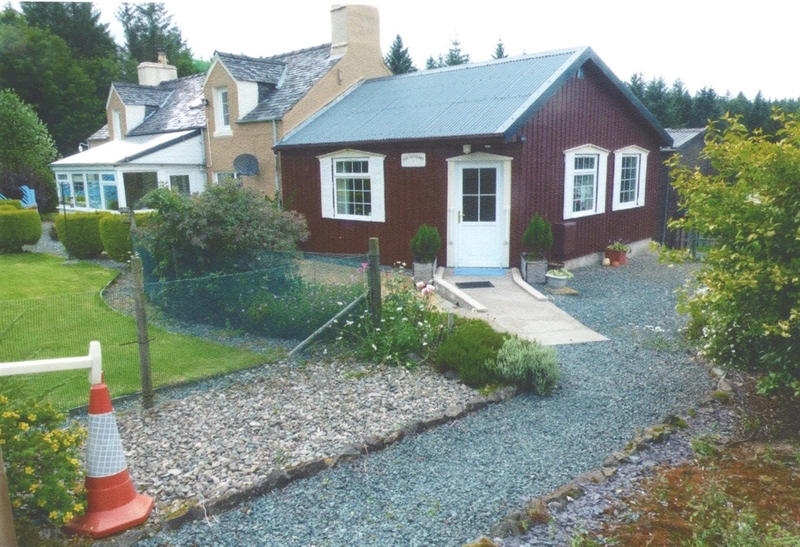 This comfortable, well equipped self contained ground floor self catering has full central heating and double glazed throughout. The sitting room and kitchen are open plan with laminate floors throughout, in the sitting room there are two comfortable arm chairs, table, music centre, TV and video player along with a selection of videos and books. The well equipped open plan kitchen has a full sized cooker with fan oven, microwave, toaster, kettle and refrigerator with freezer compartment. The bedroom consists of twin beds, a combination wardrobe with vanity shelf and mirror. The toilet / shower room has a wash hand basin, heated towel rail and an electric shower. Close by in Salen there is a launderette and there is a dry cleaners in Tobermory. 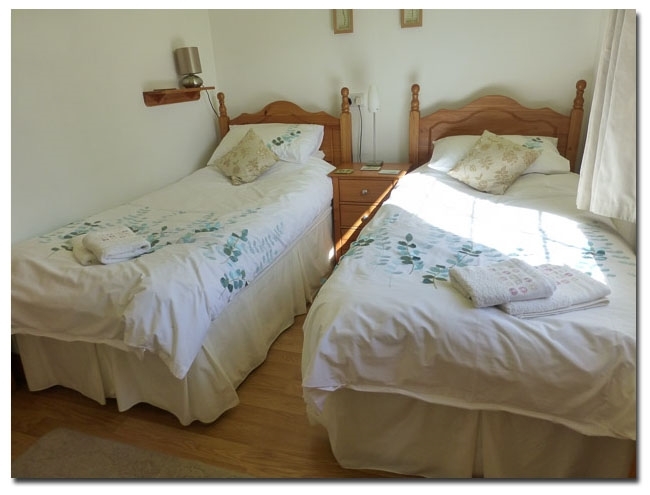 Self Catering accommodation available for a maximum of two people (No pets - sorry) all inclusive of bed linen, towels, electricity and heating. 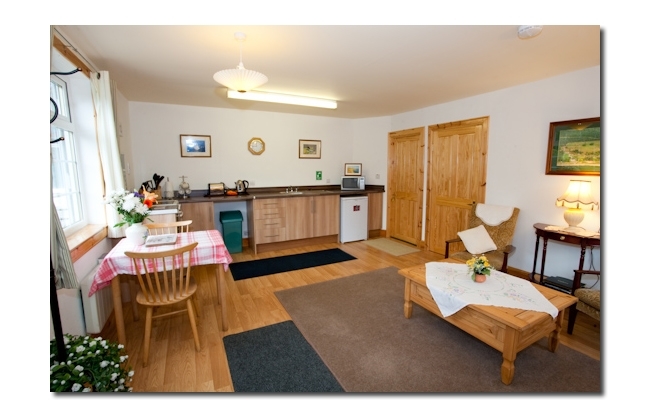 Heatherbank Self Catering is available Sunday 3pm to following Sunday 1030am. Closed December, January and February. 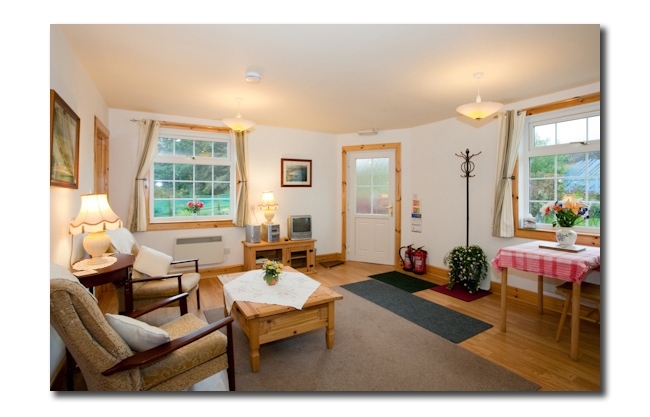 We also offer short stay breaks - please call 01680 300342 for details and availability. 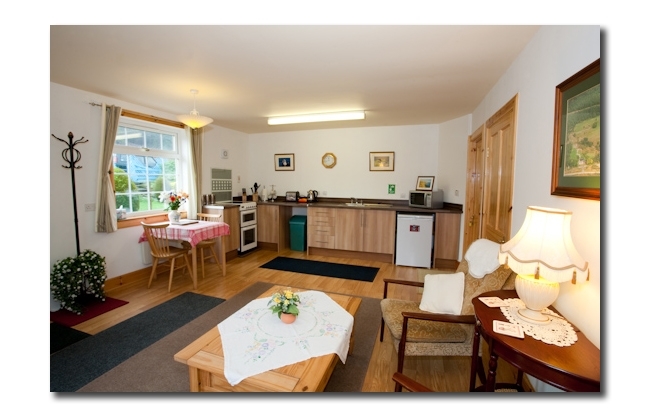 Heatherbank is ideally situated for birdwatching, wildlife trips, forest walks, and with the Fishnish Wildlife Hide just twenty minutes walk it is a perfect retreat for the nature lover and those seeking a peaceful and relaxing Isle of Mull self catering holiday. 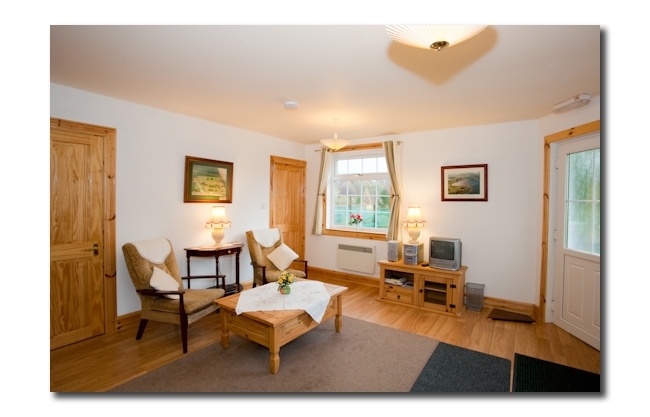 Both Salen and Craignure are only 10 minutes away and offer restaurants, Spar shops, Post Offices and petrol stations. The Isle of Mull has much to offer birdwatchers and naturalists and Heatherbank is perfectly placed to take full advantage of the islands wildlife which includes Golden Eagles, White Tailed Sea Eagle and many other raptors including Hen Harrier, Merlin and Peregrine along with Barn, Tawny and Short Eared Owl . Nightjars have been heard and seen in the forest walk at the back of Heatherbank and we have regular visits from Great Spotted Woodpecker as well as Woodcock, Common Snipe, Grey Heron and many garden birds that frequent the bird feeders. Dolphins and Porpoises are seen in the Sound of Mull and Red, Black and Great Northern Divers are regular visitors. The Isle of Mull has many other notable attractions from the picturesque fishing village of Tobermory in the north to the island of Iona in the south.